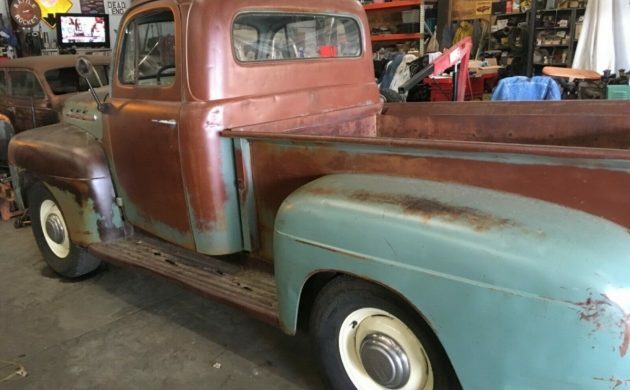 It really seems that there have been quite a few nice old pickups coming out of the woodwork, and the vast majority of them seem to be ready for an owner to stamp their own mark on them. 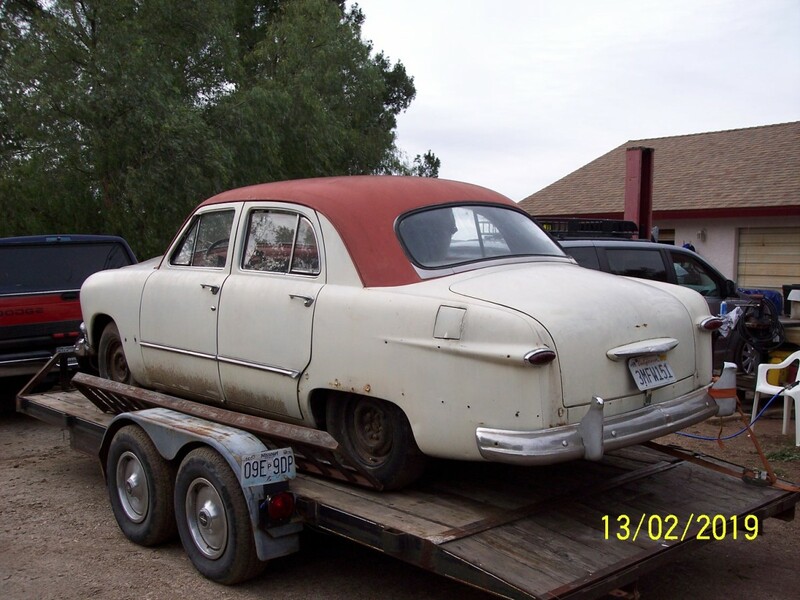 This 1951 Mercury M-1 is a perfect example. After decades of inactivity, it has roared back into life and looks to be a solid prospect as a project vehicle. Located in Ogden, Utah, it is listed for sale here on eBay. I’ve been studiously avoiding using the word patina in my articles, but you have to admit that this old girl has it in spades. It has its share of minor dings and marks, but given the fact that it is a commercial vehicle and has obviously been a work-horse, this isn’t that surprising. 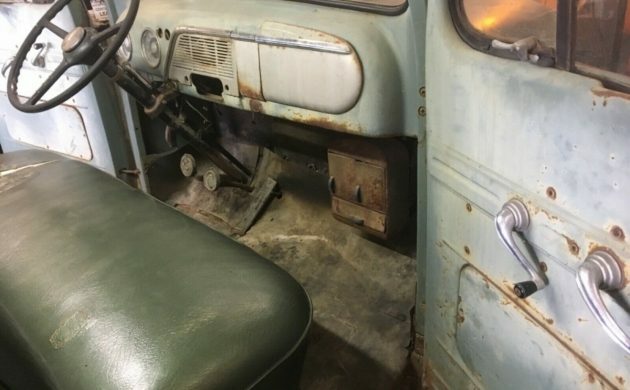 Actual rust seems to be quite minimal, and the most obvious is some repairable spots in the running boards, along with a couple of spots in the floor. It’s a bit hard to see into the bed, but there may be some holes in there. 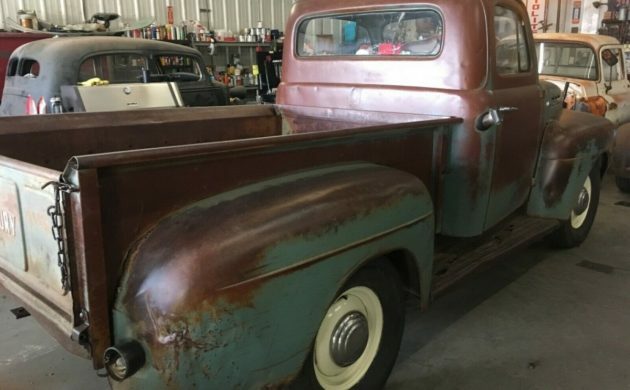 Unusually, for a pickup of this vintage, the corners of the cab look to be quite solid. The wheels appear to wear relatively fresh paint, and combined with hubcaps that are in fairly decent condition, provide a nice contrast. One negative is that it appears that the windshield and rear glass both look to be cracked. 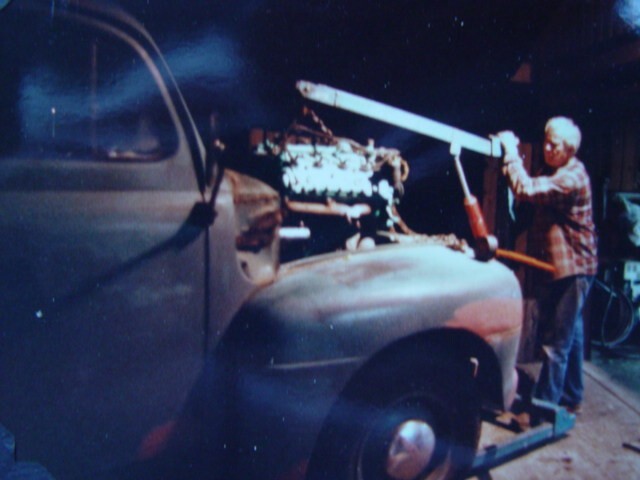 The good news extends under the hood, with the 239ci flat-head V8 up and running. It is obviously going to need some work mechanically after sitting for so many years, but that’s to be expected. 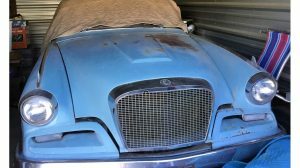 The Pickup is being sold by a hotrod shop, and they have stated that they are happy to sell the Mercury as it stands, or can get the vehicle driveable for the new owner. The interior of the Mercury doesn’t look bad either. There are a couple of things that will need to be addressed, but they are fairly minor. It looks like the switches for both the headlights and wipers are missing, as is the knob off the shifter. There’s a hole where there has obviously been a radio, and I would probably try to source a period-correct unit to fit in there. There is a tear in the seat upholstery, but if the new owner intends to use the pickup as it is, they could just throw a blanket over it. This Mercury M-1 is a great looking old vehicle. It is another one of these old pickups where it would be tempting to get the vehicle in sound running order and use it as it is. 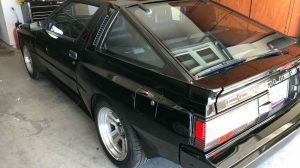 It also offers the new owner something just a bit different to a Ford F-1 of the same era. 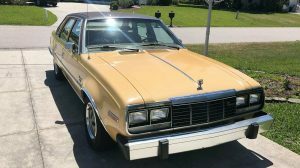 At the time of writing, bidding is sitting at $6,500, and it appears that the reserve is off. 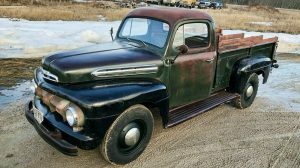 So someone looks like they will soon be the proud owner of a pretty cool old pickup. Good-looking truck that is a sound basis for restoration. Clean up the dings and scrapes, paint the fenders black and the body a cool green or red. Clean up the interior, re-upholster the seat and address the mechanicals. Good to go. I’d love to have this one. 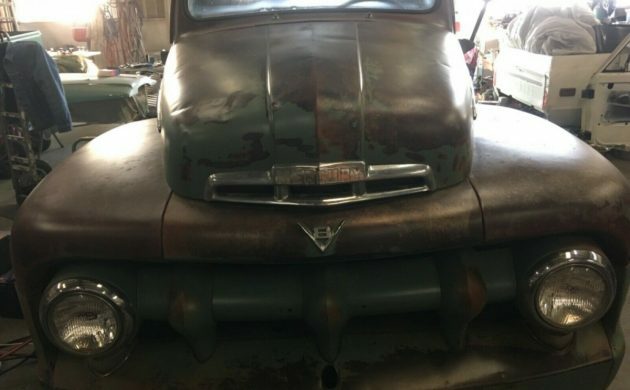 I don’t mind “patina” but if you’re going to clearcoat over it… just paint it!! The bronze color with the green looks like oxidizing copper. 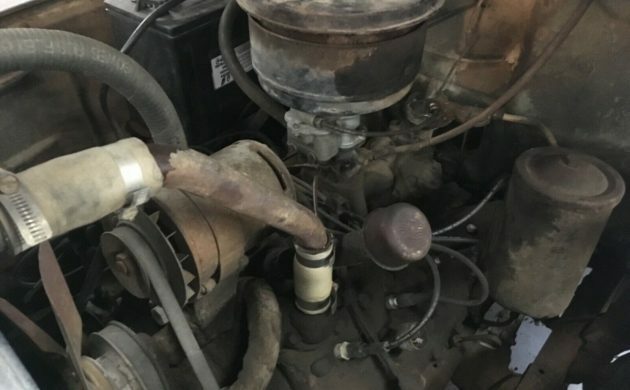 Sounds like it has a dead cylinder. I can’t see the shift lever but it must be a 3 speed. 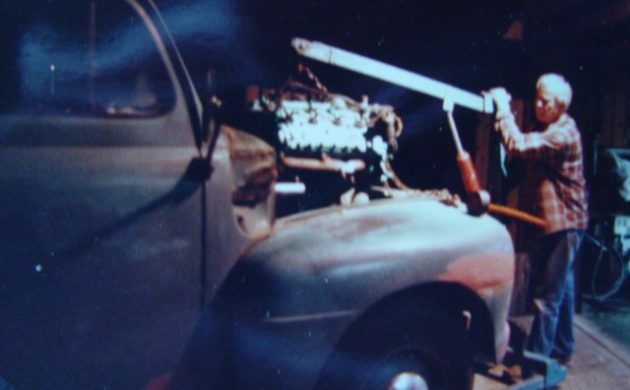 Fix it & drive it, and no, the fenders were painted body color that year. That patina looks a little too good for me. Repaint with patina effect, maybe? the interior doesn’t seem to match. The deals are coming out especially in Southern California. 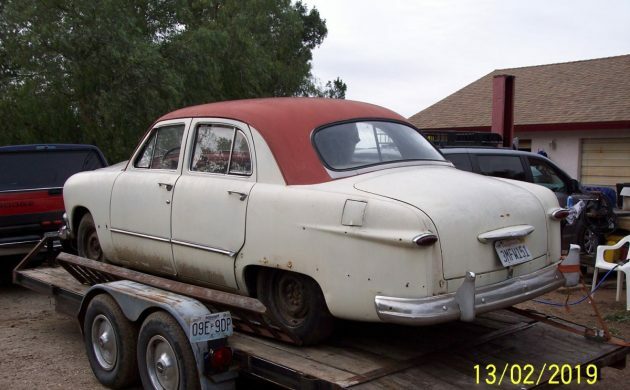 Just bought a 1951 ford absolutely no rust and all the trim. Has a six but purrs like a kitten. Needs chrome put back on and a couple of cracked side window glass but for $1000 who could complain. Well I remember when it sold new for $1675.00. But than again that was a lot of money back then.